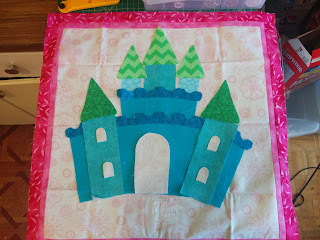 I am using the Castle part of the "once upon a time" quilt designed by Christine Sharp and Racheal Wright. It is rare I use someone else pattern but it is so cute. And this is my interpretation :) The back will be 4 patch using the fabrics in the front. Hi, I found your post on Sew Cute Tuesday. 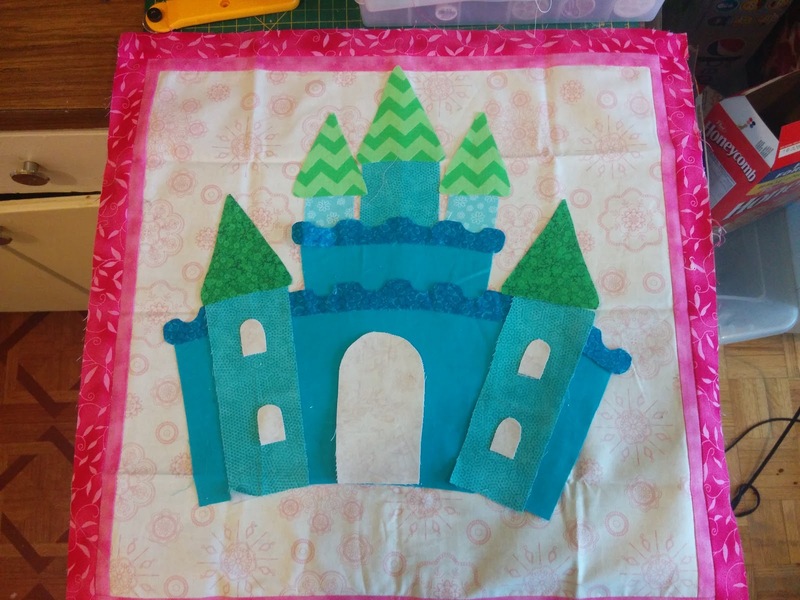 Your blue castle is very cute for a little girl. 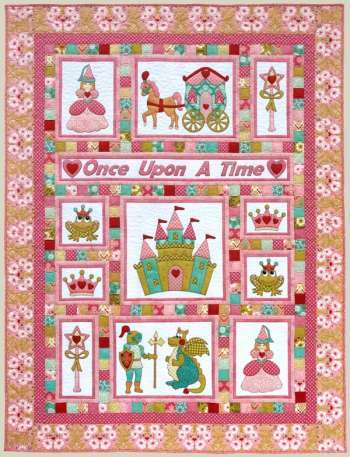 I also make child quilts for children in hospital. I like bright colors as you use. Good work!